Just in time before this summer's 5th most-anticipated movie, Pirates of the Caribbean, comes the video game counter-part to be released on May 10th. Well, if that's still too long to wait to see some swashbuckling action; starting today you can play the demo of said new Lego game on Xbox Live (I hear the PSN is having some issues, so they won't have the demo available). If you've played any of the LEGO games, they're a fun time for all ages, I always get a kick out of the simple gameplay, and the quirky telling of the source material, it's always fun. In many cases, these games are better than most serious video-game adaptations of a summer blockbuster (Matrix, Iron Man, Kung Fu Panda, you get the idea). 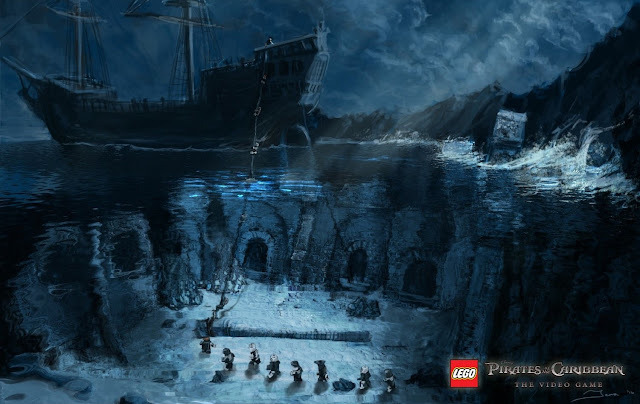 Check it out, LEGO Pirates of the Caribbean: The Video Game will be available on May 10th, on Xbox 360, PlayStation 3, Wii, PC, Nintendo 3DS, Nintendo DS and Sony PSP. Whew. In other news, the movie will be in theatres on May 20th.